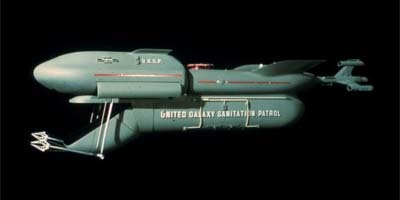 "Here's a picture of the United Galaxies Sanitation Patrol Cruiser. "awesome, u remembered the planetes reference!" "what exactly does it do?"